Michael Marberry is known for new ideas, strategic initiatives and a vision of the future – and he has demonstrated those abilities on an international scale. A native of Paducah, he earned a Bachelor of Science degree in chemical engineering from the University of Kentucky in 1981, graduating with high distinction. Throughout his career, he has taken on positions of increasing responsibility. His strategies will shape the future of J.M. Huber Corporation, where he now serves as President and CEO. He made the most of opportunities at UK, completing engineering internships with Union Carbide Corporation and Exxon Research and Development laboratories. He received graduate fellowship awards from Ashland Oil and Phillips Petroleum, and returned to UK to earn a Master’s Degree in chemical engineering in 1983. From there, his rise to leadership accelerated. He joined the Procter & Gamble Company in Cincinnati in 1983 as a product development engineer. In his first two years there, he led the product formulation and process design for a unique new product – Crest Tartar Control toothpaste. He was co-inventor on a patent awarded to P&G for innovation in that area. He led the production startup to commercialize Crest Tartar Control at Procter & Gamble’s U.S.-based manufacturing plants. He was promoted in 1986 to product development group leader, a position in which he directly supervised a team of research and development engineers. He led projects coordinating the purchasing, manufacturing, marketing, sales and distribution of new Crest products. He then decided to pursue further education in the area of general management. Mr. Marberry left P&G in 1988 to enroll in the Amos Tuck School of Business Administration at Dartmouth College, and earned his Master of Business Administration degree in 1990, graduating with honors as an Edward Tuck Scholar. His next step allowed his problem-solving and leadership skills to benefit many companies. He joined McKinsey and Company, one of the world’s leading consulting firms. There he was involved with a wide range of projects covering many industries, as well as government. He led a comprehensive corporate redesign program that enabled a $2 billion public utility to compete more effectively following deregulation. He provided analysis and recommendations to the Minister of Finance in a Latin American country to support trade negotiations with Mexico. A leading personal computer company benefited from a process he designed to evaluate and commercialize new technologies. He also implemented a new sales, marketing and distribution strategy to expand the company’s North American market share; and he designed and validated a more effective performance measurement and management control system. His ability to work with a variety of corporate leaders in developing key business strategies is a testament to his skills in building and maintaining strong relationships. 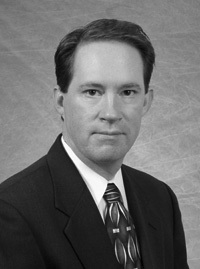 In 1994 Mr. Marberry was named Director of Corporate Strategy and Development for M.A. Hanna Corporation, a publicly traded $2 billion specialty polymer business headquartered in Cleveland. He chaired the company’s strategic review committee, managed international expansion projects, and led numerous merger and acquisition initiatives. His leadership and negotiation skills were again in evidence as he completed important acquisitions in Germany, the United Kingdom, Denmark, Norway, and Singapore, and established the company’s first operating joint venture in China. He found his next challenge in 1997 with J.M. Huber, a private, multi-billion dollar conglomerate with more than 4,000 employees in 28 countries. Huber has diverse operations in specialty chemicals, oil and gas exploration, timber and wood products and financial services. As vice president for new business development, Mr. Marberry held direct responsibility for corporate portfolio management, technology transfer and merger and acquisition transactions. He led the planning and negotiation as Huber acquired Noviant, one of the world’s leading manufacturers of cellulose ethers, and served as managing director of Noviant for 18 months to oversee the transition. As Huber’s chief financial officer, he led a global finance organization with more than 100 professionals. He served as a board member for most Huber subsidiaries and affiliates. In 2004, he led negotiations for Huber’s largest mergers and acquisitions transaction ever, the $1 billion acquisition of CP Kelco, a leading producer of specialty hydrocolloids with a wide variety of applications. In 2006, Mr. Marberry was named President of Huber Engineered Materials. Huber Engineered Materials was formed in 1998 by combining J.M. Huber Corporation’s Engineered Minerals Division and Chemicals Division. He held this role for three years and led the company’s entry into China with the construction of a world-class facility in Qingdao for the production of precipitated silica. Finally, in June 2009, Mr. Marberry was named the new President and CEO of J.M. Huber Corporation, following the retirement of the former chief executive. Mr. Marberry is involved with numerous charities including Feed the Children, the United Way and Monmouth Conservation Foundation. He and his wife Bernice reside in Holmdel, New Jersey. They have five children: Felicia, Matthew, Sophia, Lauren, and Brandon.